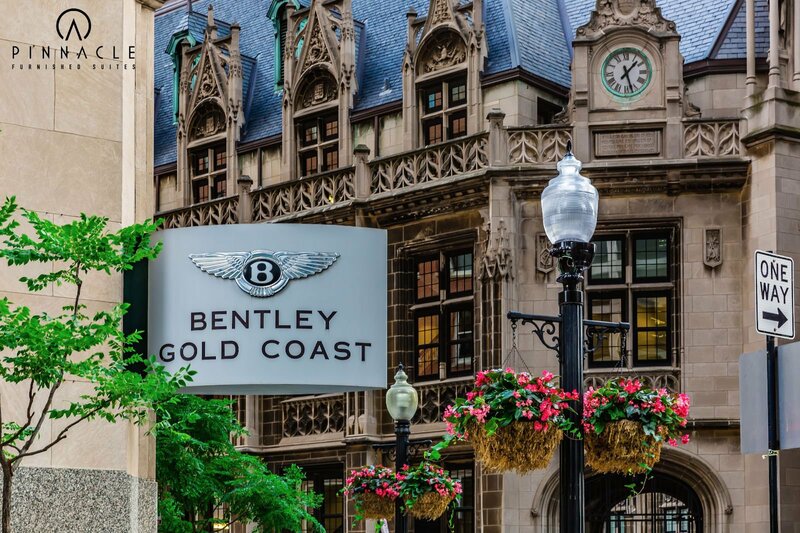 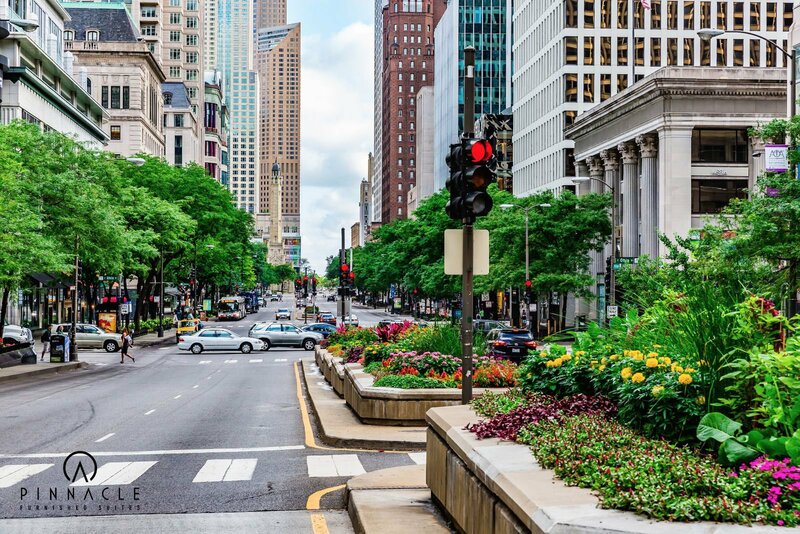 If you’re planning an extended stay in Chicago, why not choose one of its hippest, hottest, chicest neighborhoods? 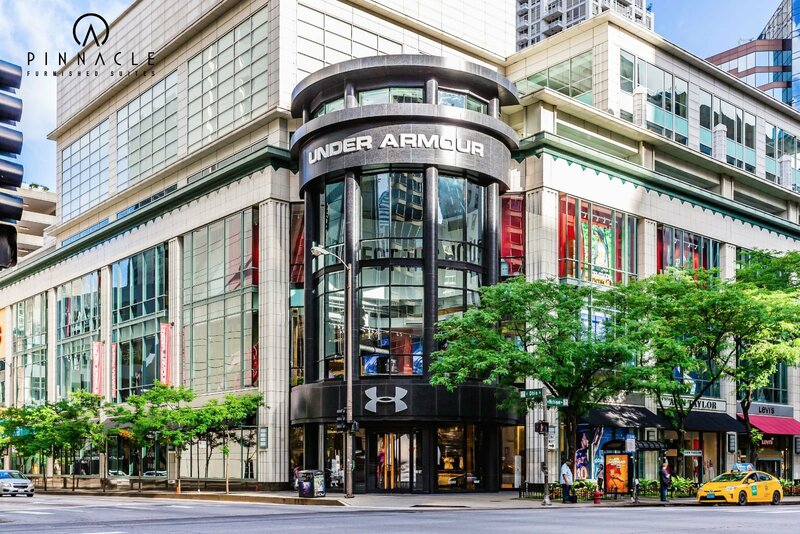 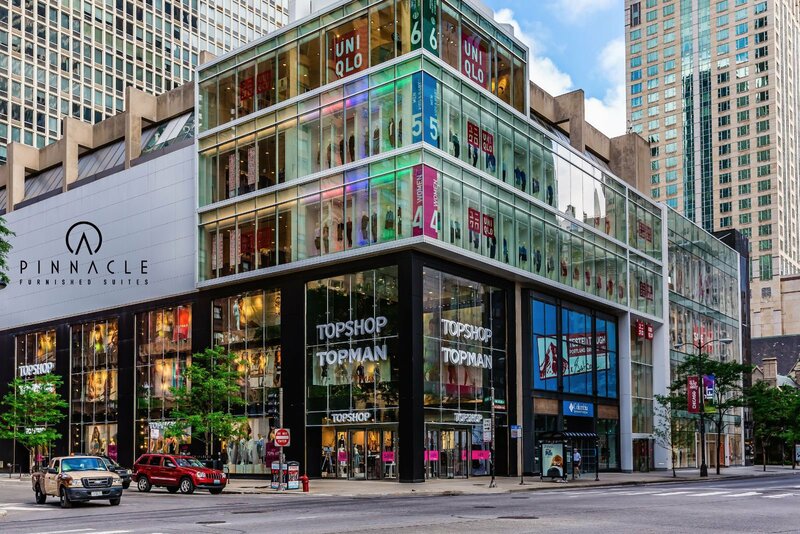 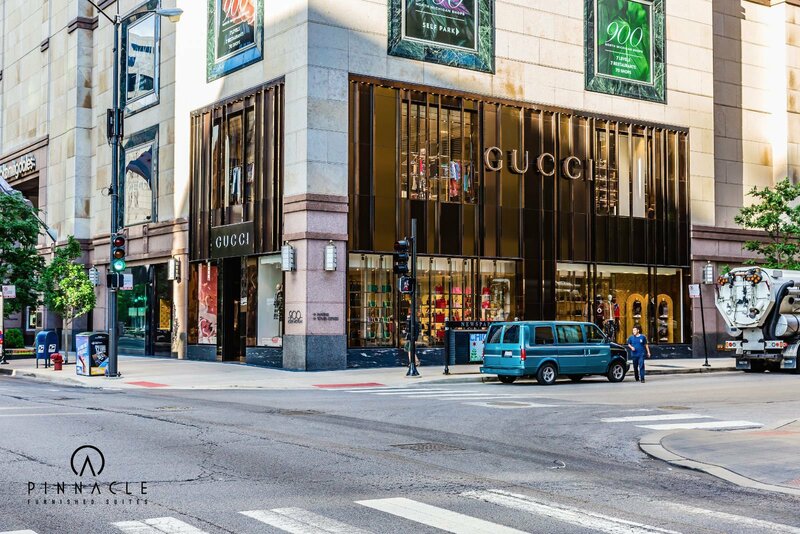 What was once a manufacturing and warehouse district has been transformed into one of the most fashionable and trendy areas of the Windy City. 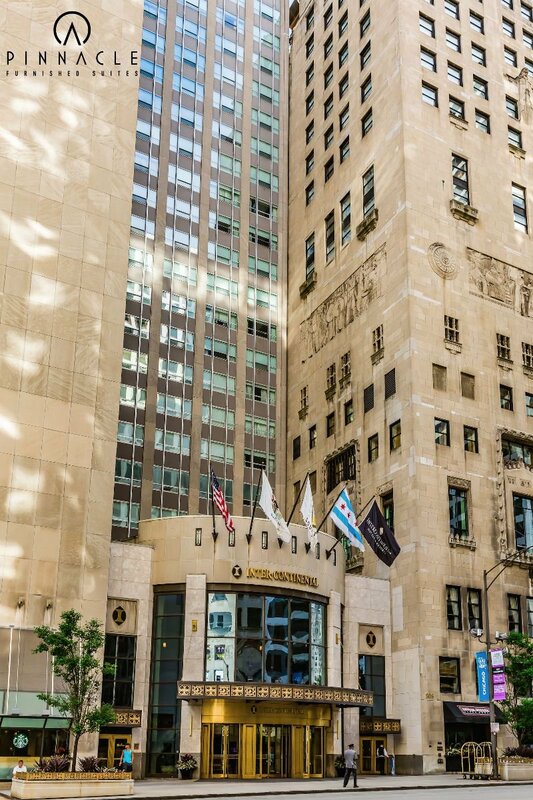 Come see for yourself with our short-term rentals in River North. 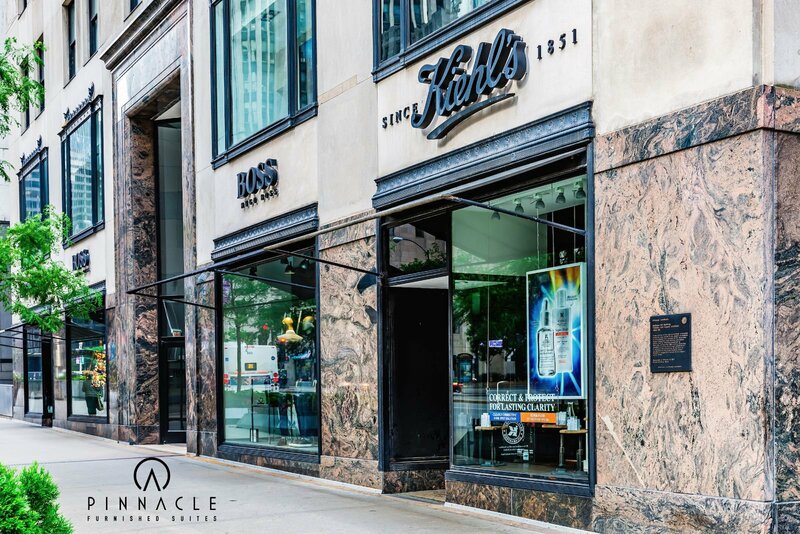 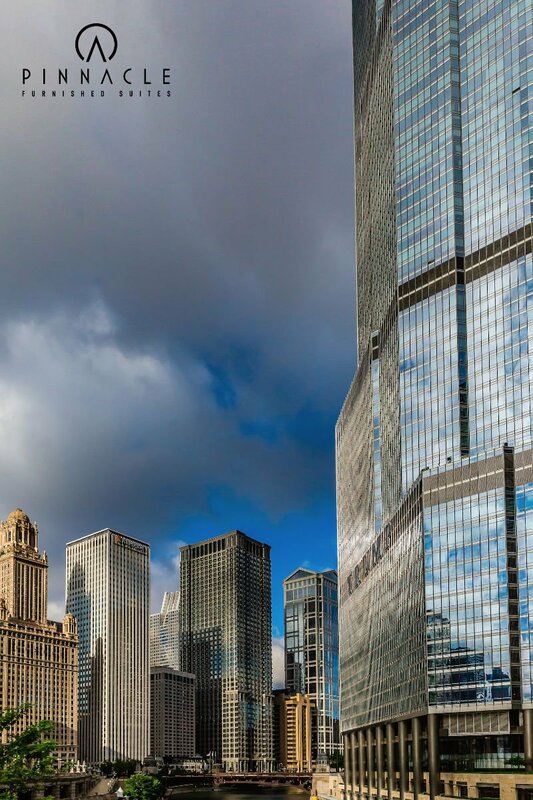 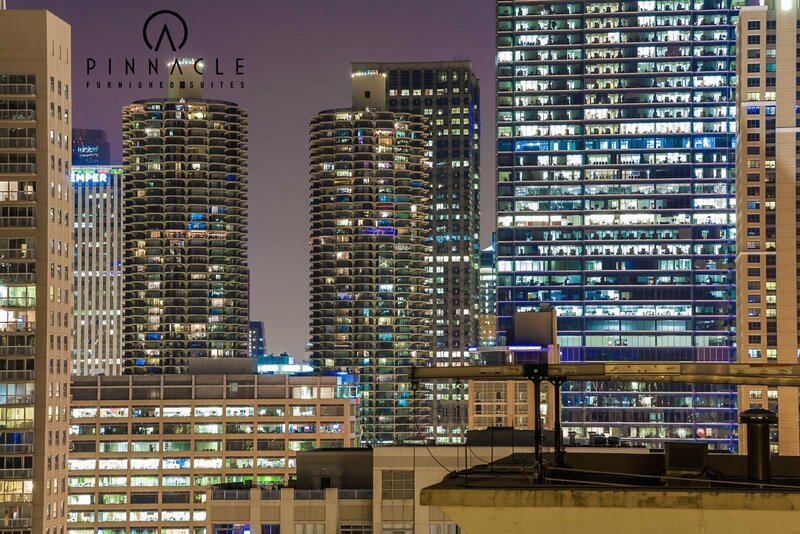 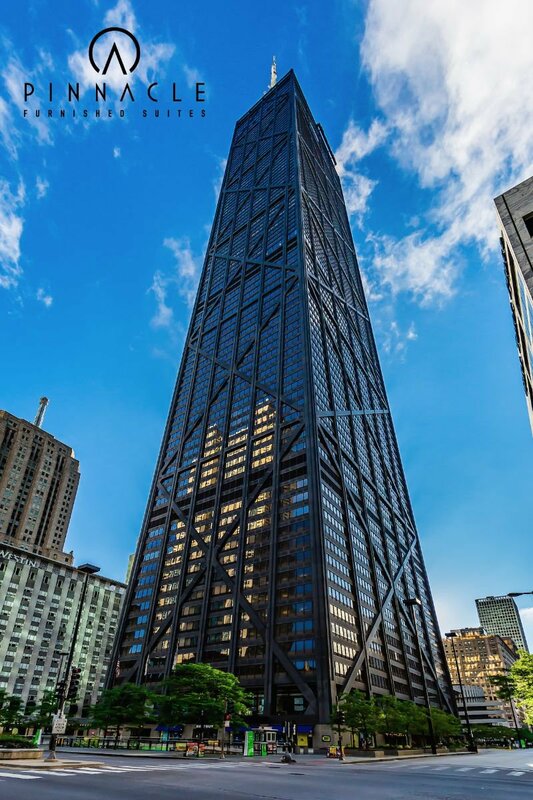 Whether you’re an executive who is frequently in Chicago for business or a traveler looking for a vacation address in the middle of it all, Pinnacle Furnished Suites has comfortable furnished apartments in River North to suit your needs. 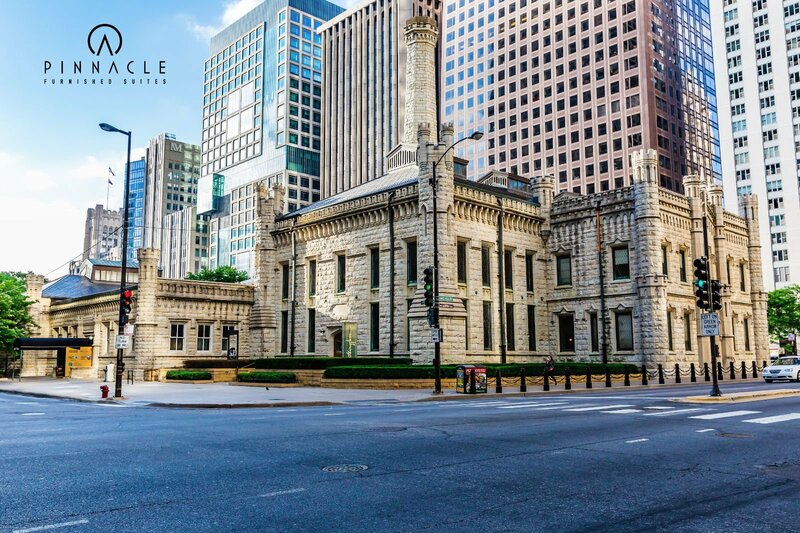 Book one when you’re taking a temporary gig in the area, need a place to stay while you visit the grandkids, or are looking for a short-term home between homes during a move. 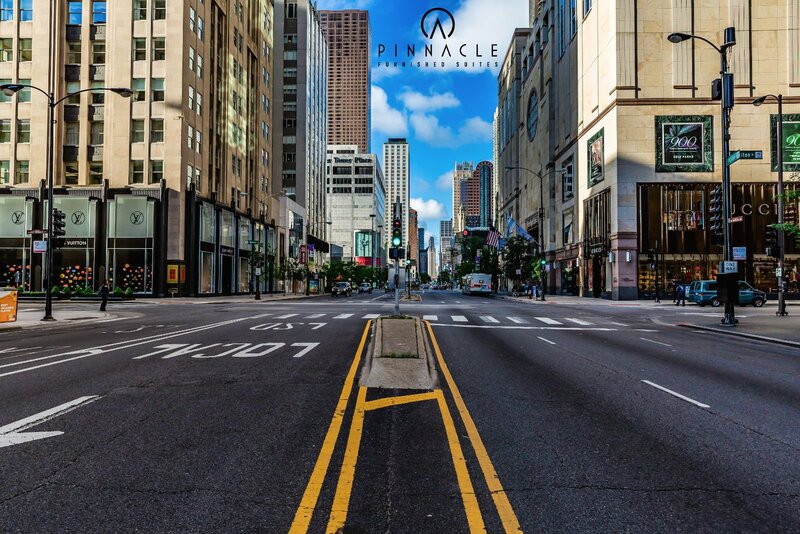 It doesn’t matter if you’re an athlete in town for the season or a student on a semester-long internship, our apartments are the perfect fit for you. 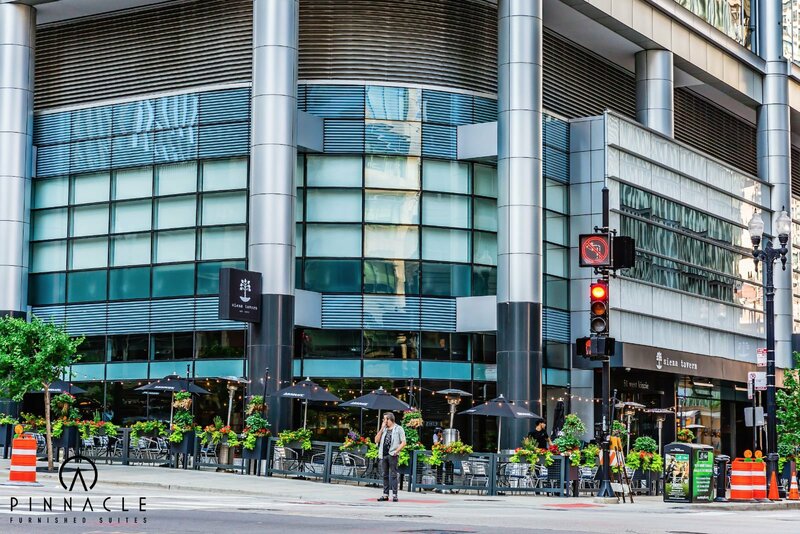 The beauty of our temporary housing in River North is that it couldn’t be more convenient, no matter what brings you to town. 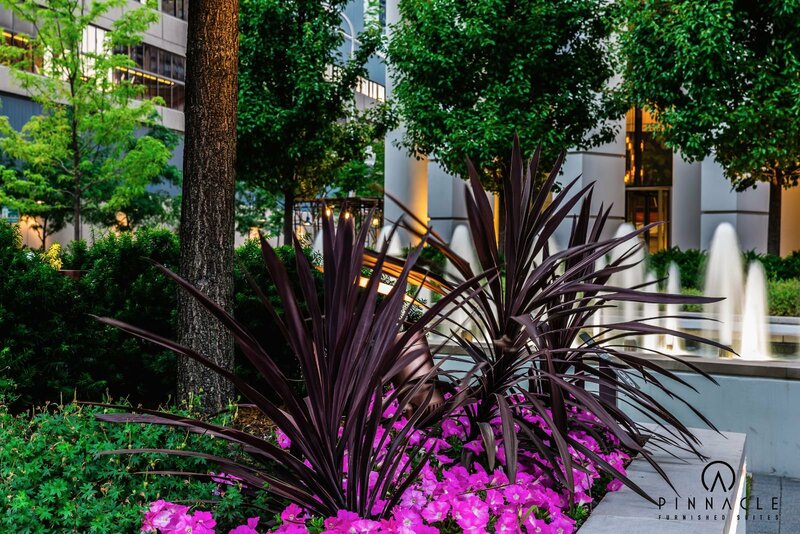 Each luxury unit is fully furnished in a contemporary style, located in a newer building full of amenities, and designed to make you feel comfortable and at home. 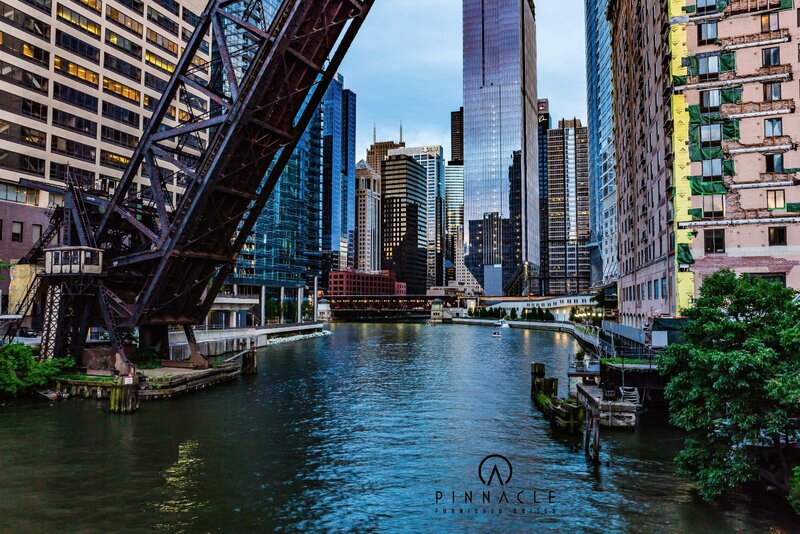 When you stay with PFSuites in River North, you’ll be in the middle of an exciting array of attractions. 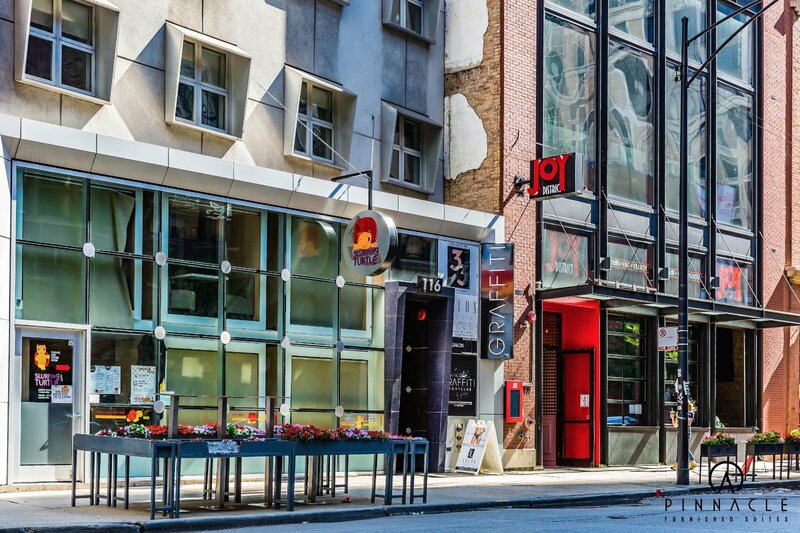 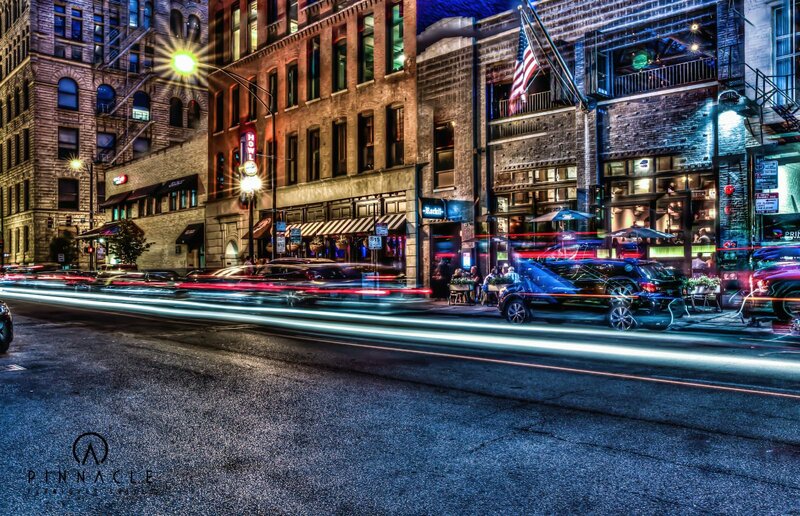 Step outside your door and enjoy all the shops, art galleries, restaurants, nightclubs, and office spaces it has to offer. 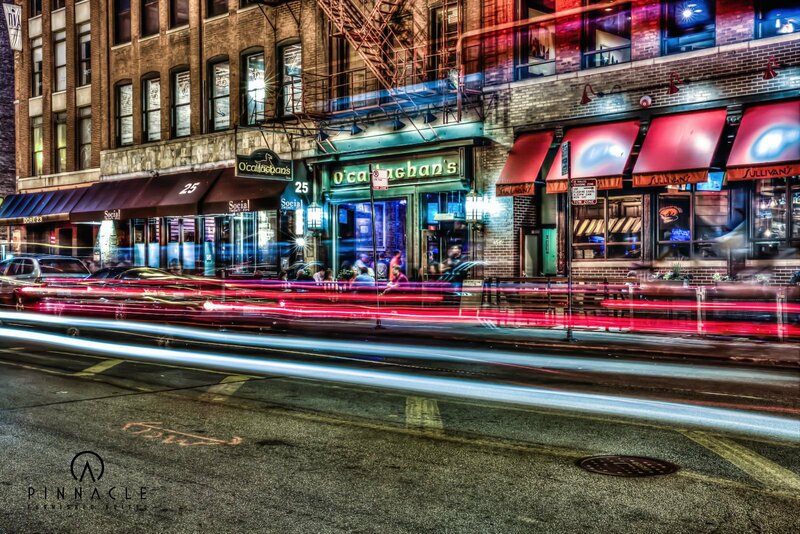 This neighborhood’s round-the-clock vibe means there’s always something to do — morning, noon, or night. 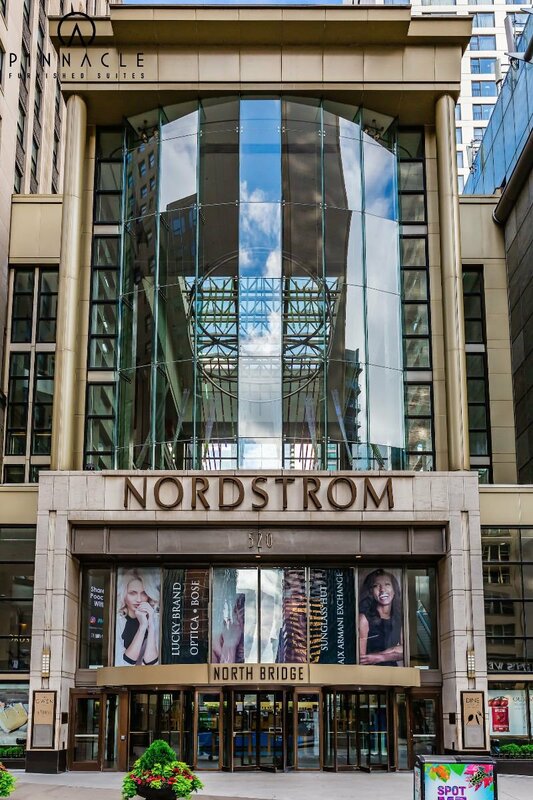 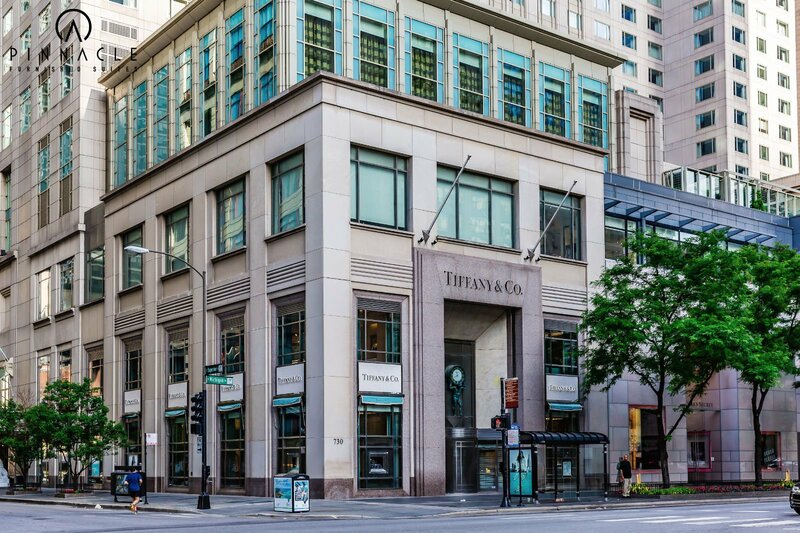 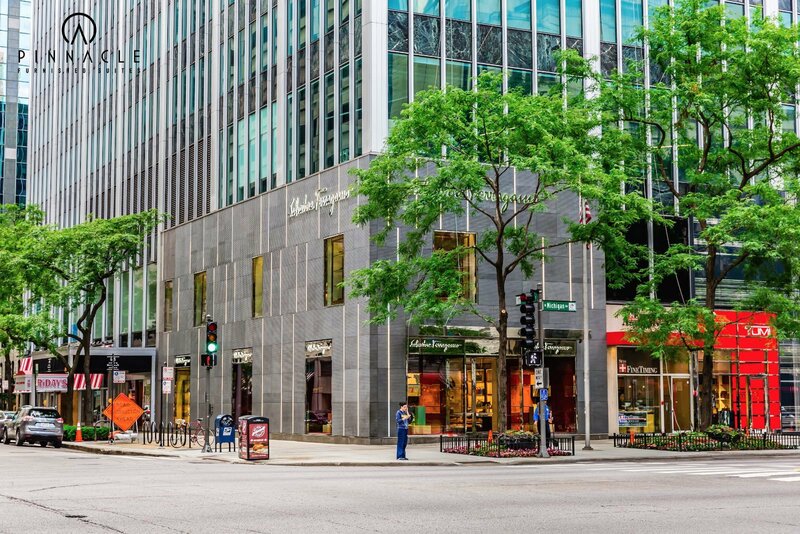 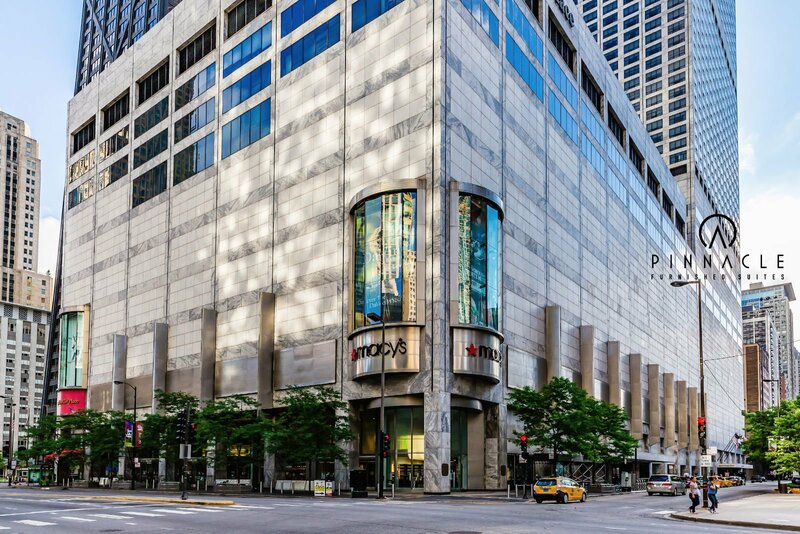 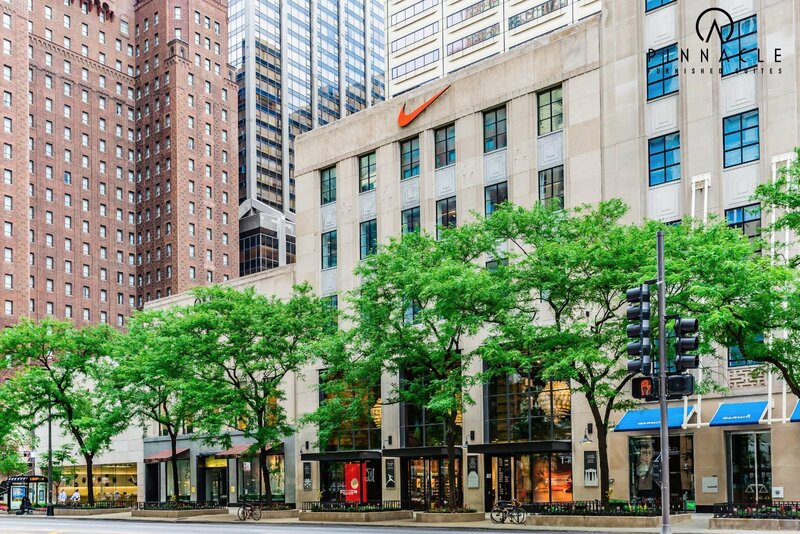 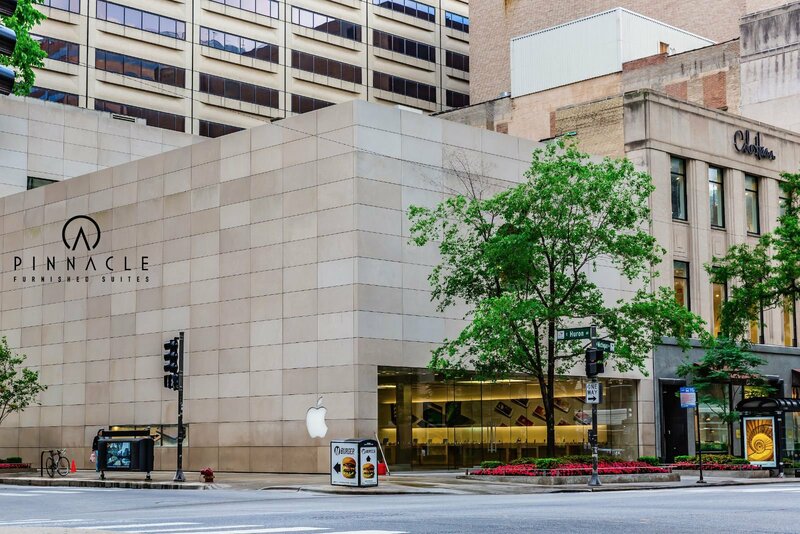 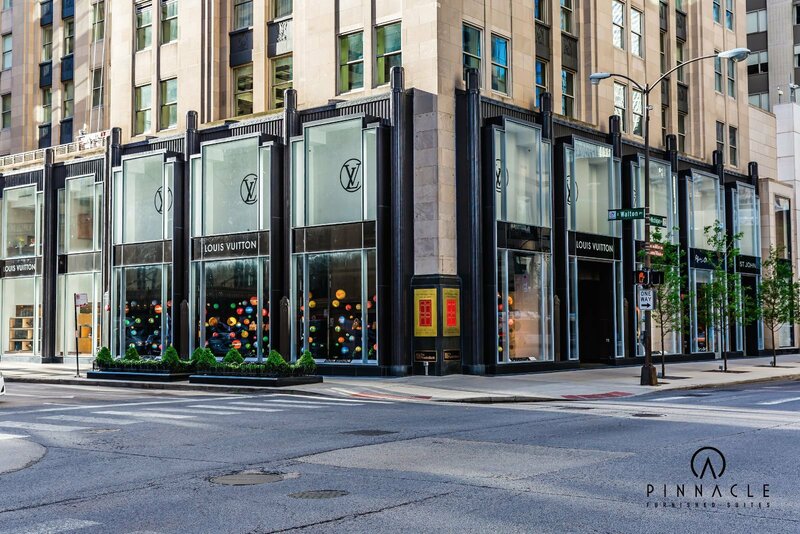 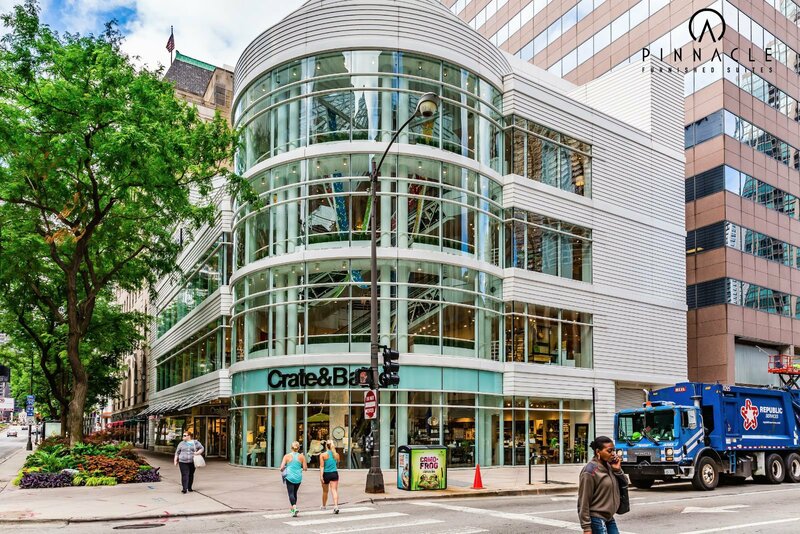 Located across the bridge from the Loop, River North draws art lovers, shoppers, foodies, and more. 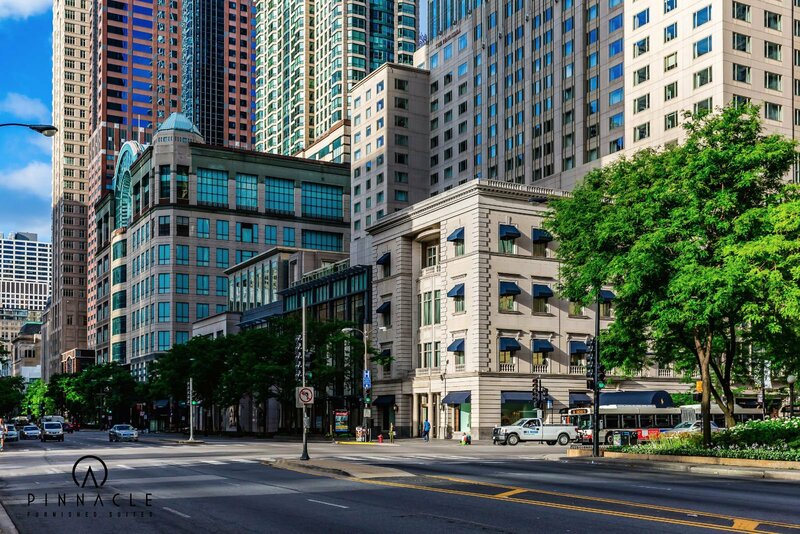 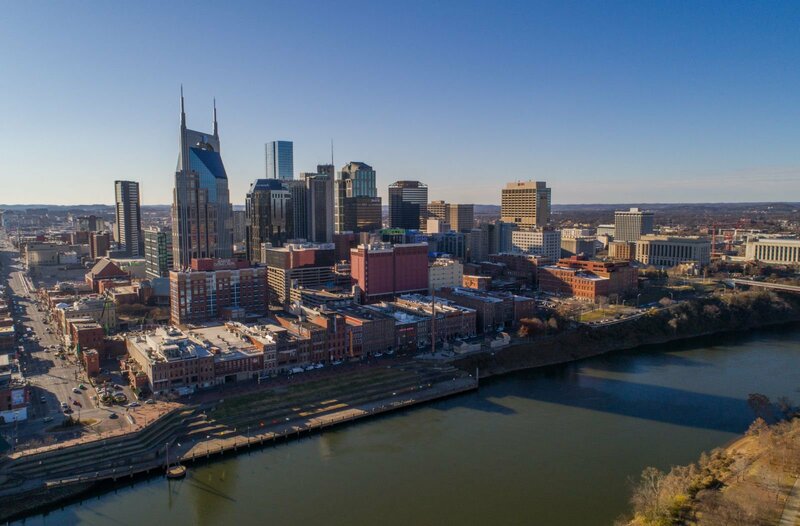 Staying here, it’ll be hard not to fall for the area’s diverse architecture, skyline views, and trendsetting boutiques. 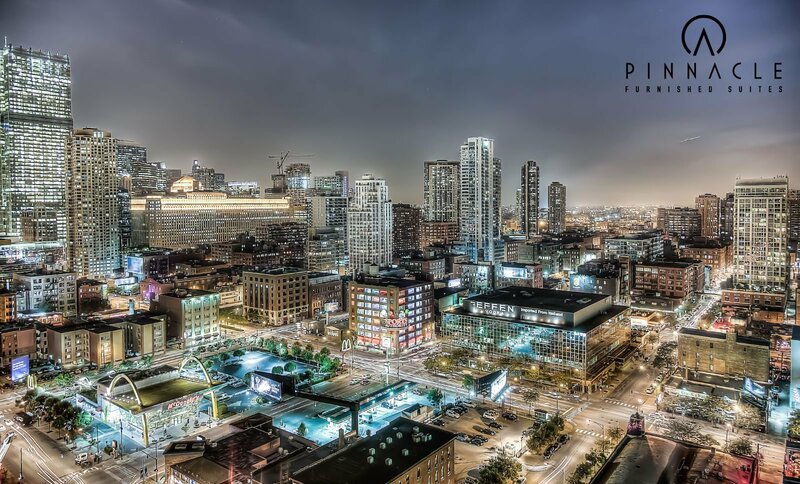 River North neighborhood started as an industrial area and later became a warehouse district. 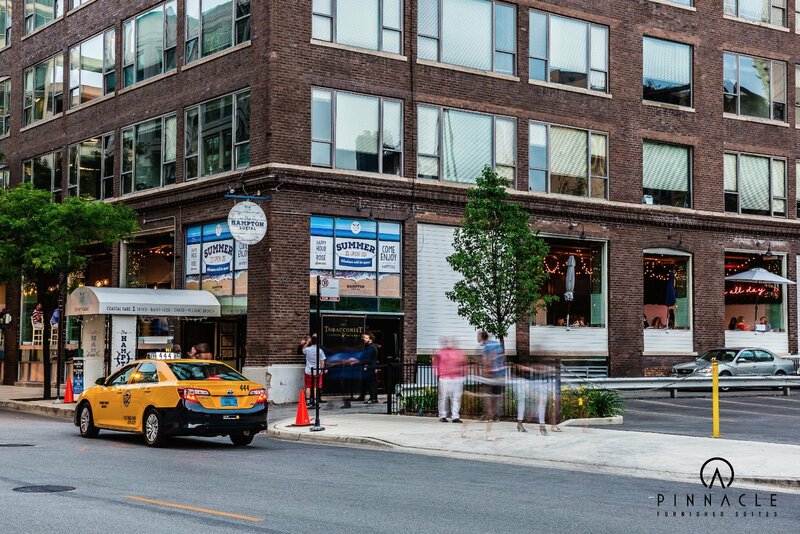 When the warehouses closed down in the 1970’s, the empty buildings attracted various artists and writers looking for loft and studio space; thus, creating a neighborhood that was artistic. 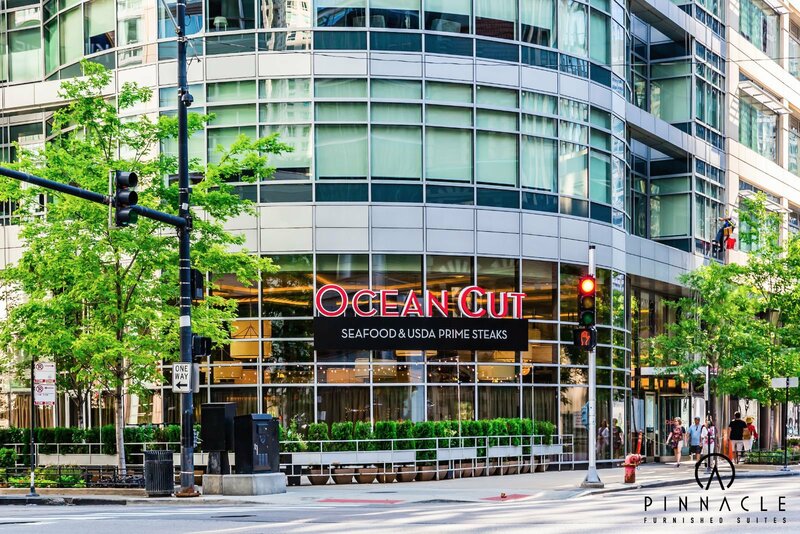 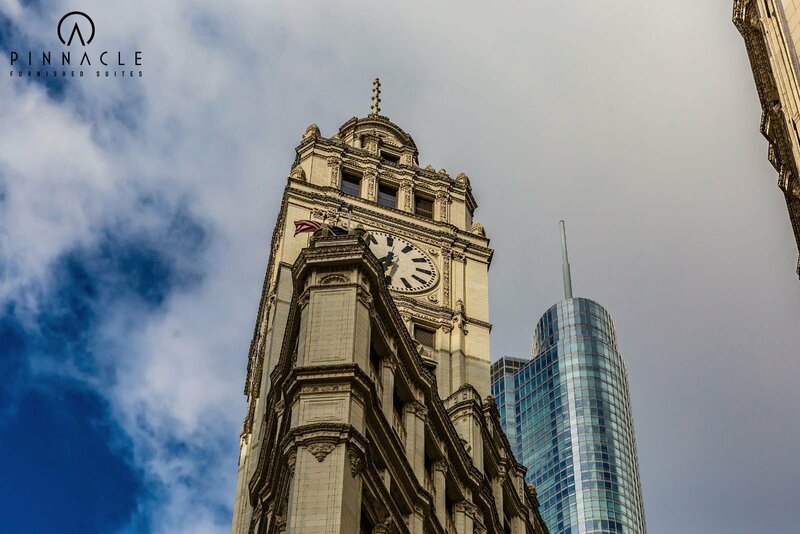 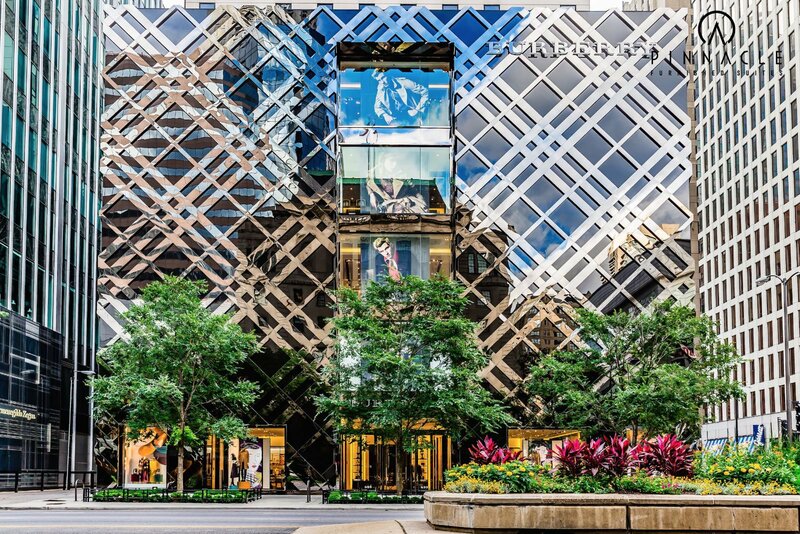 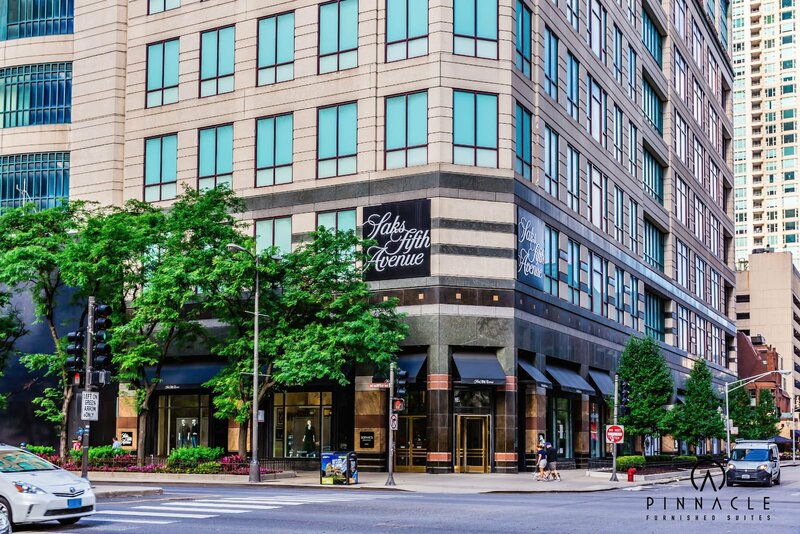 Since then River North has completely transformed into what is now a chic, cultural hub filled with art galleries, antique stores, boutiques, and of course urban professionals. 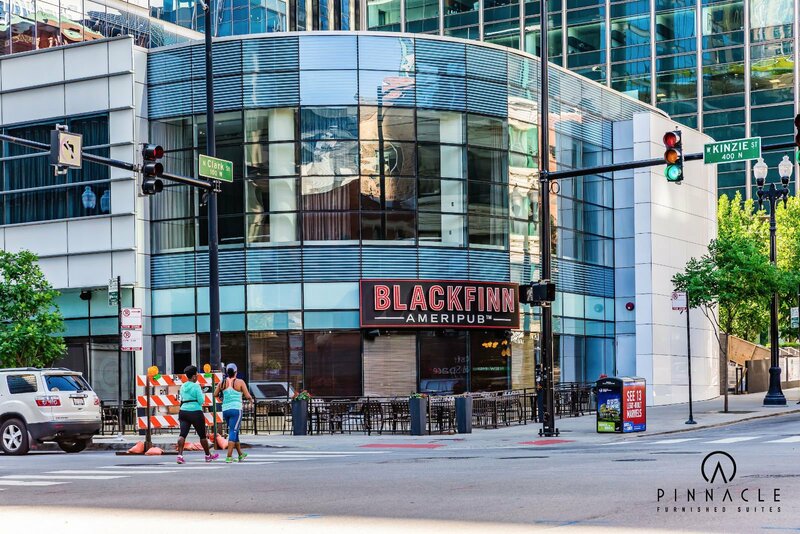 A hip location is only the beginning of the benefits provided by our corporate housing in River North. 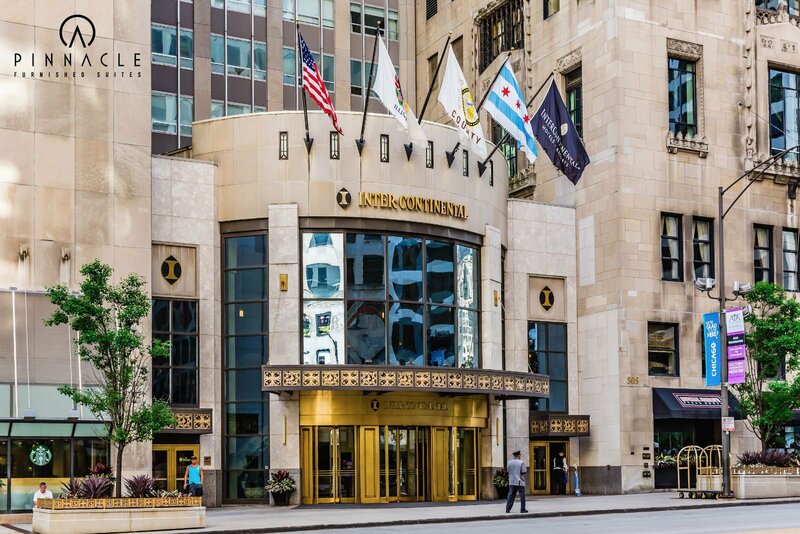 You’ll also love the luxurious ambience of our short-term rentals. 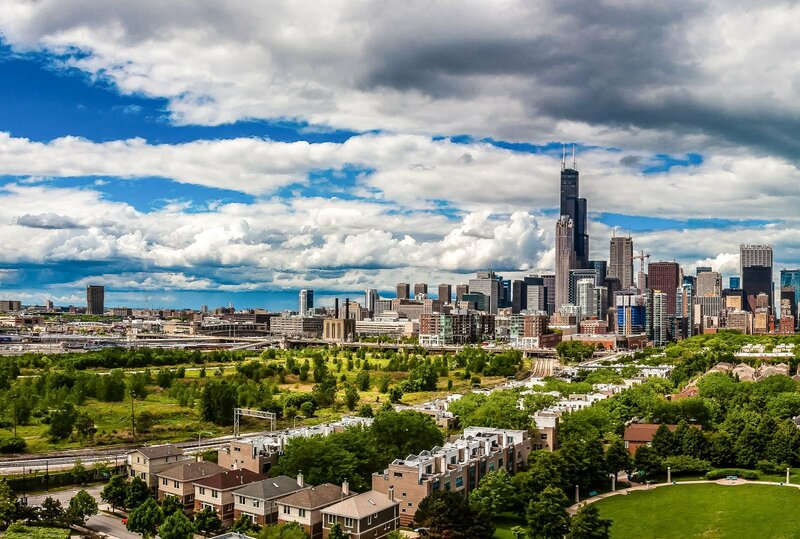 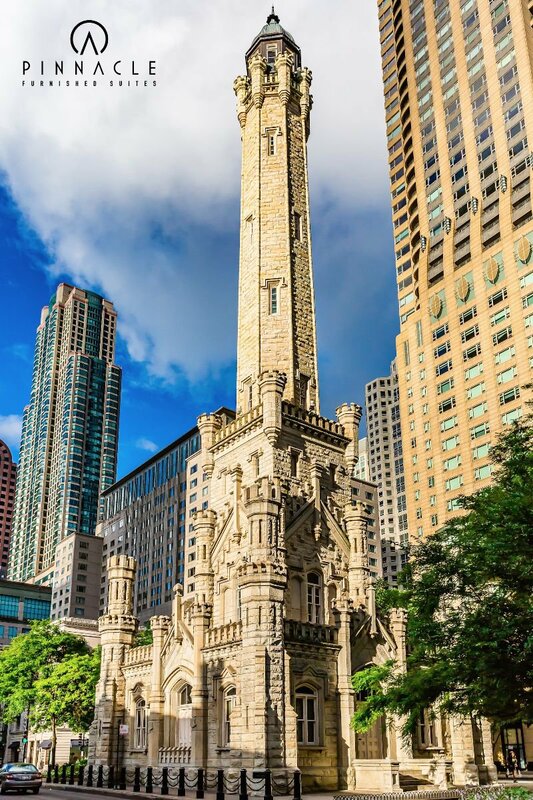 There’s so much to love about short-term rentals in River North! 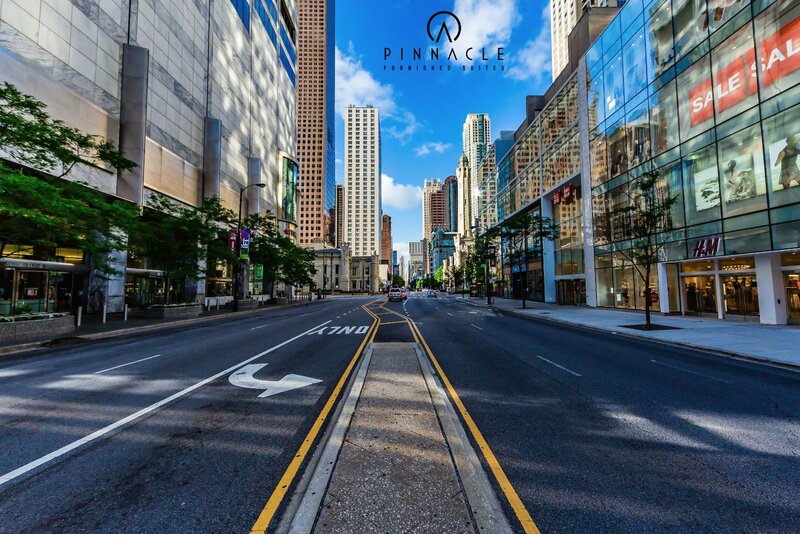 When you’re looking for the perfect housing accommodations, choose Pinnacle Furnished Suites. 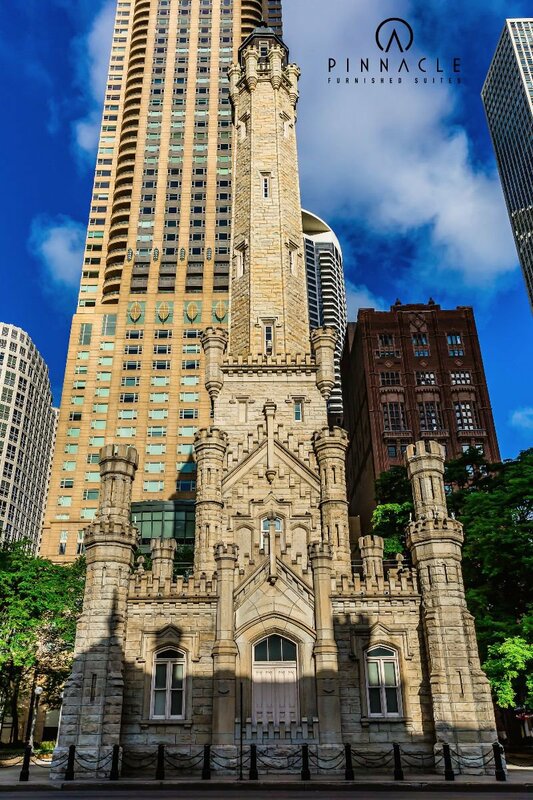 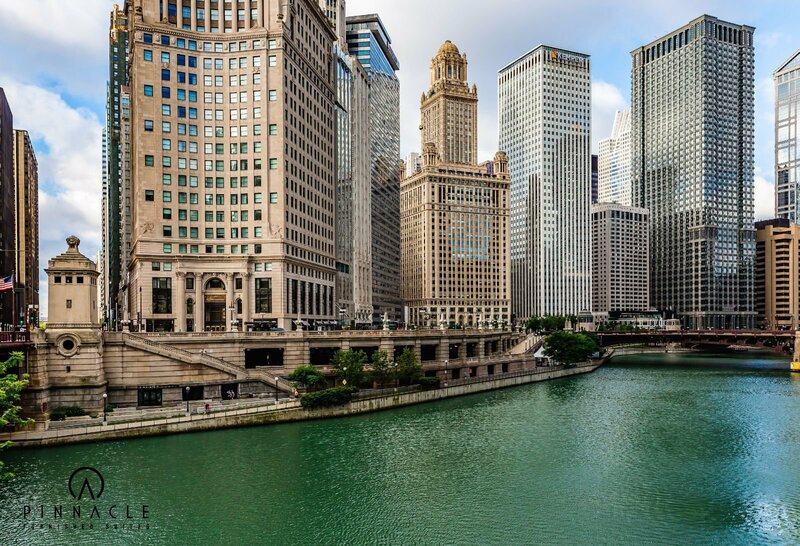 Check out our current listings to find a River North rental you’ll love! 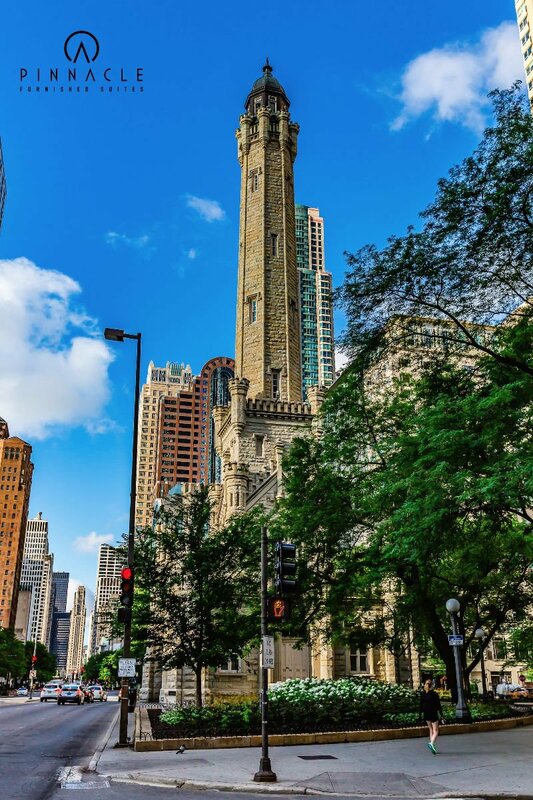 River North has a lot to offer, from thriving nightlife to museums. 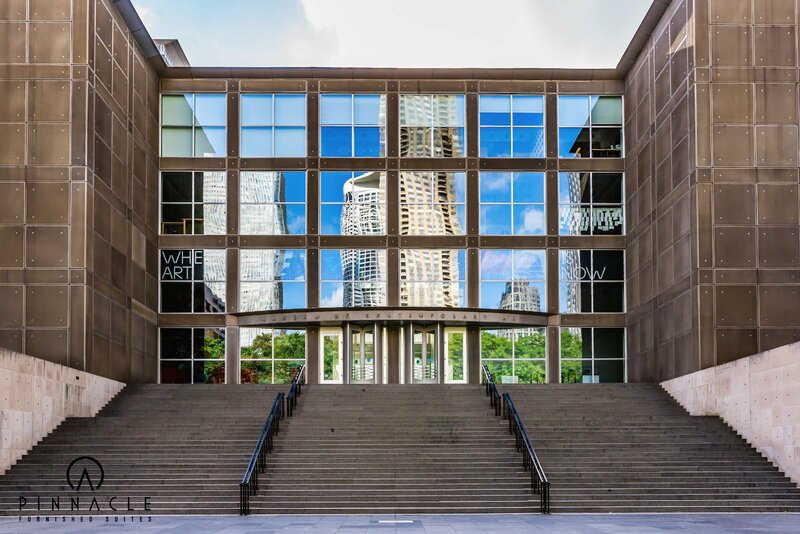 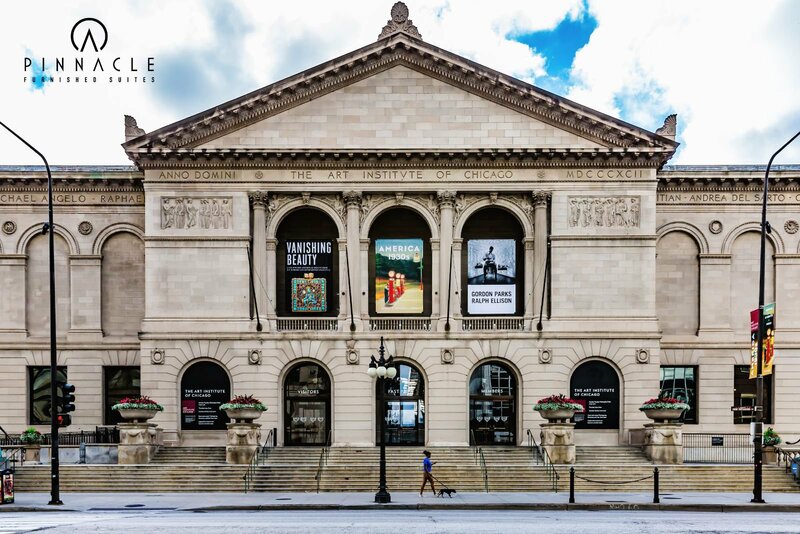 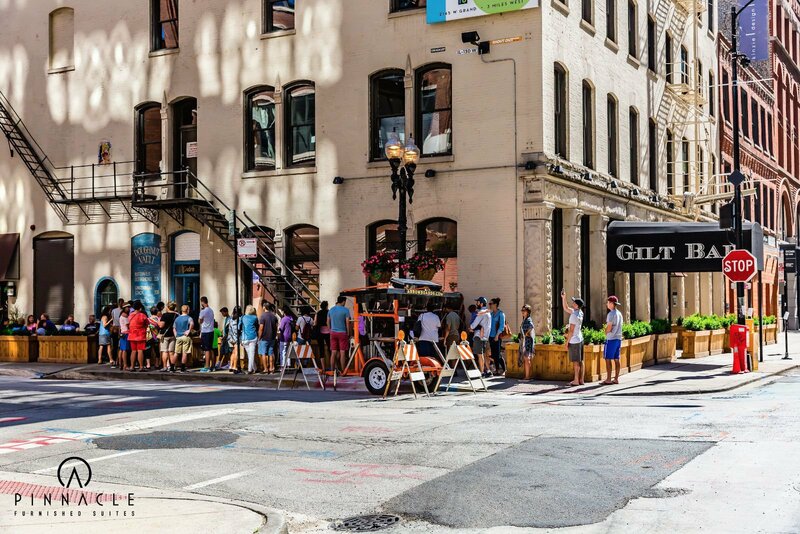 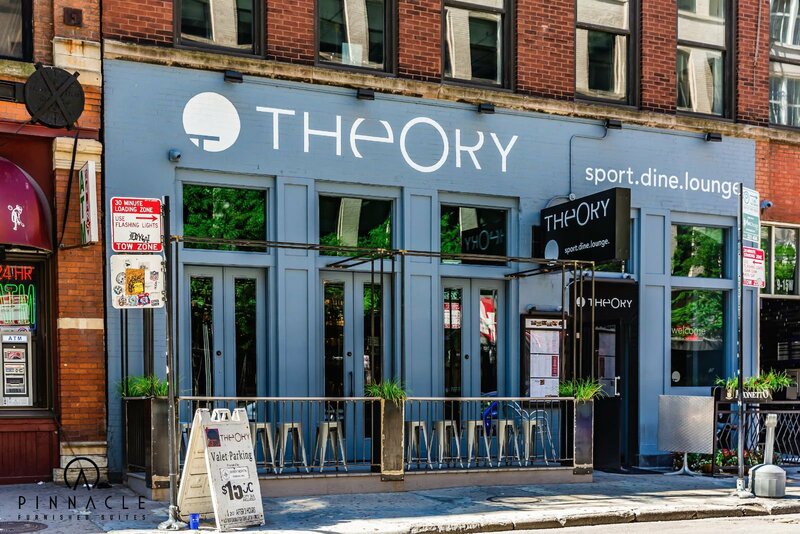 Emerge yourself in River North culture by visiting one of these popular local attractions. 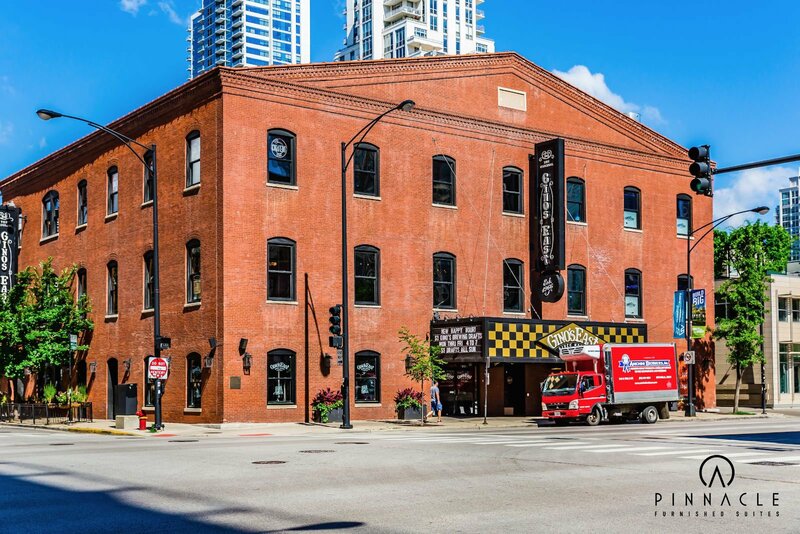 - Headquarters Beercade -213 W Institute Pl, Chicago, IL 60610-With more than 65 nostalgic arcade games, craft cocktailing, and mouth-watering foods, Headquarters Beercade provides an alternative experience to the traditional night out. 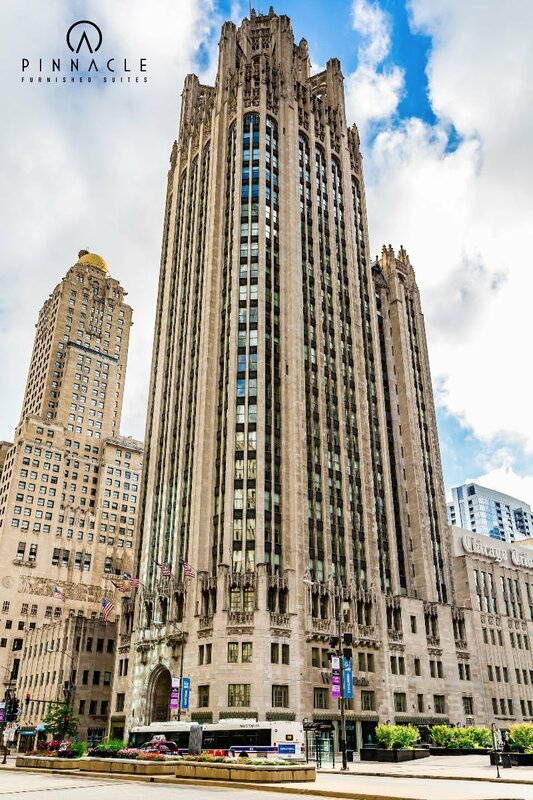 - Museum of Broadcast Communications -360 N State St, Chicago, IL 60654- Visit the Museum of Broadcast Communication to learn America’s broadcast history and life from the 1920s to the present. 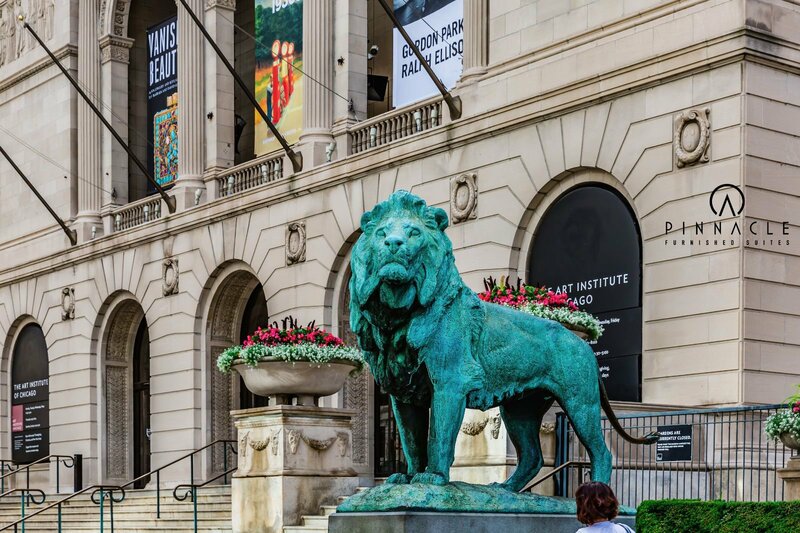 Its exhibits are made up of more than 25,000 television programs, 12,000 commercials, and 5,000 radio programs. 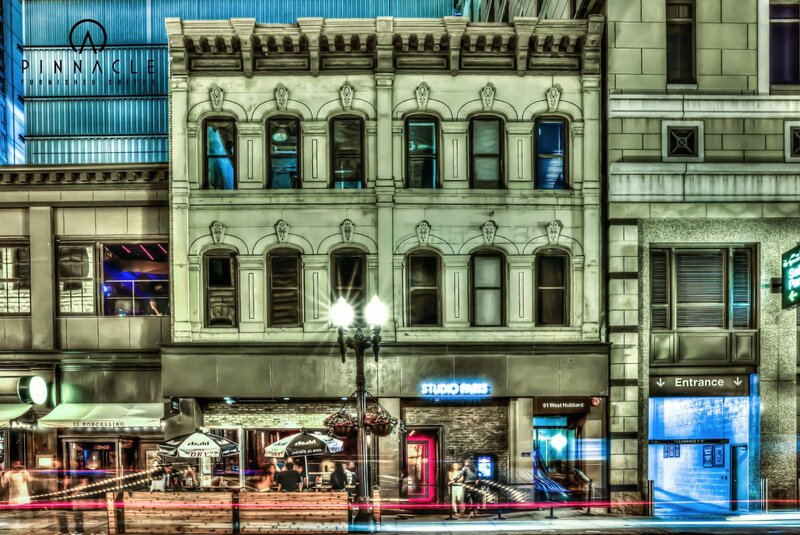 -The Comedy Bar -500 N LaSalle St, Chicago, IL 60654-Located in the heart of downtown, The Comedy Bar offers stand-up comical relief with prices you can’t beat. 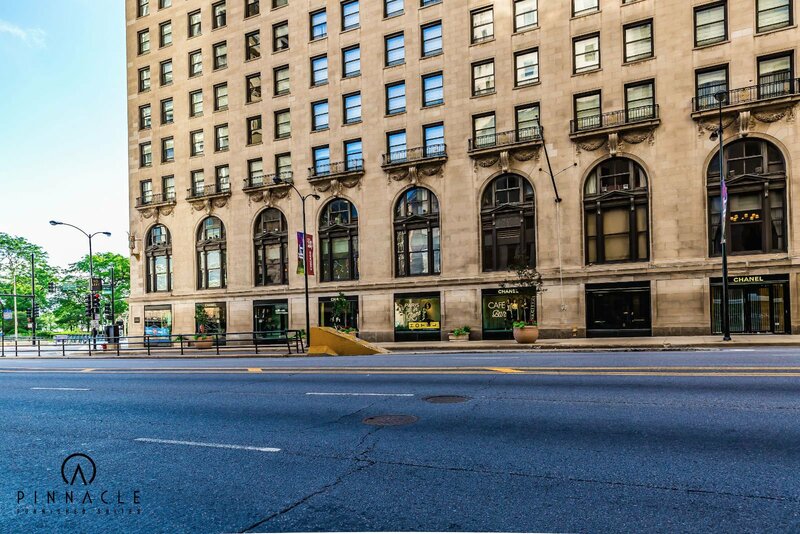 -East Bank Club -500 N Kingsbury St, Chicago, IL 60654 -Needing a place to exercise? 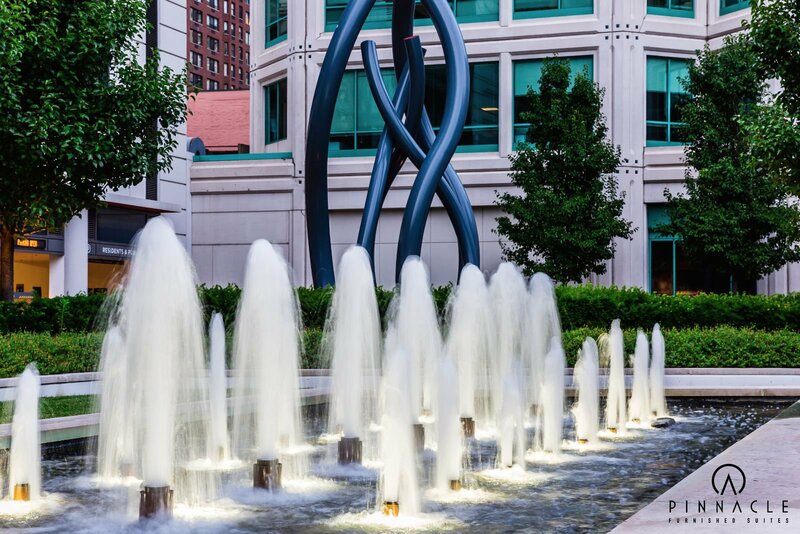 East Bank Club’s size, scope, and range of services makes it recognized as a premier fitness facility. 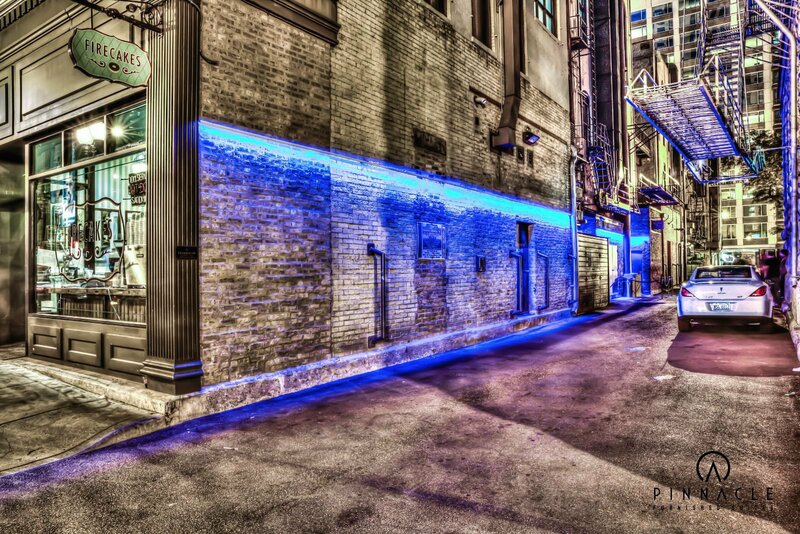 -Looking Glass Theater -821 N Michigan Ave, Chicago, IL 60611- Looking Glass has built a reputation for artistic excellence and ensemble-based theatrical innovation. 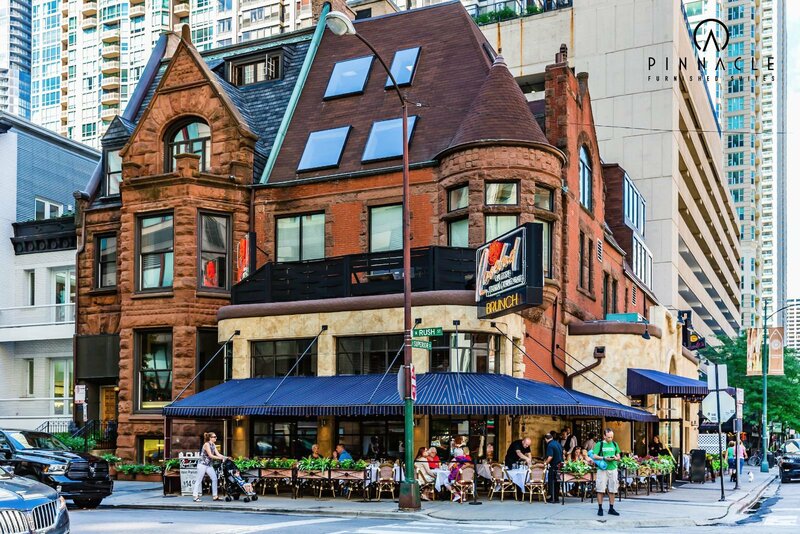 River North is a diverse dining neighborhood. 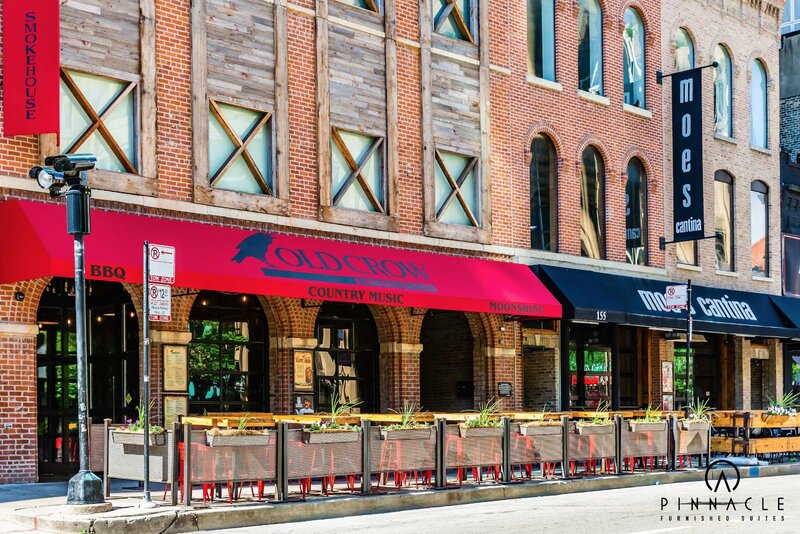 Appease your appetite with one of these savory meals. 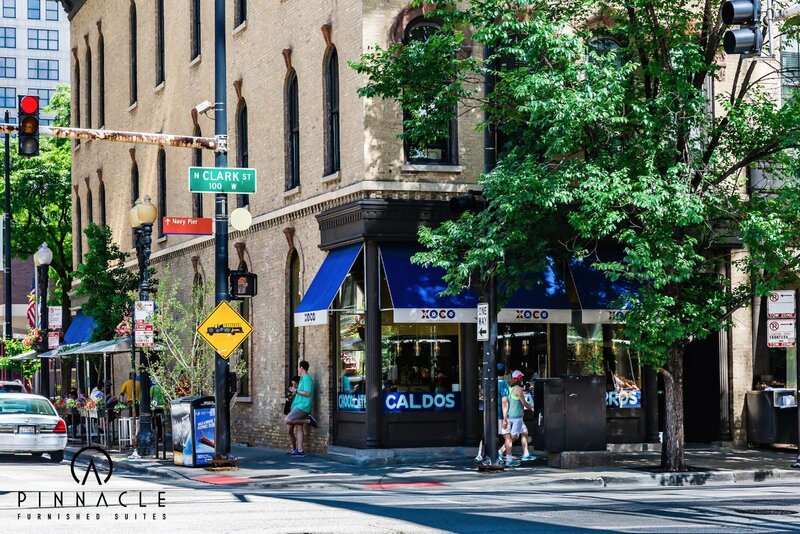 - XOCO (449 N Clark St) - XOCO is the perfect place to discover inventive and affordable street-food-inspired dishes.  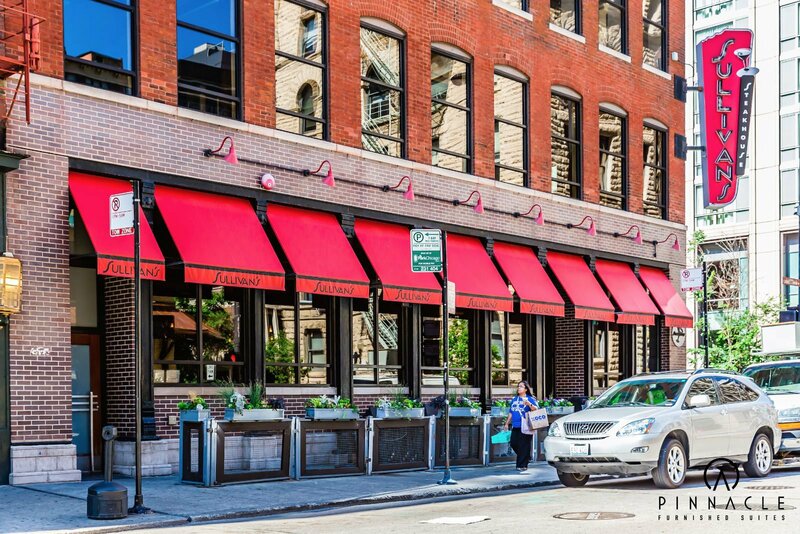 -RPM Steak (66 W Kinzie St) - RPM Steak features contemporary take on a traditional steakhouse. 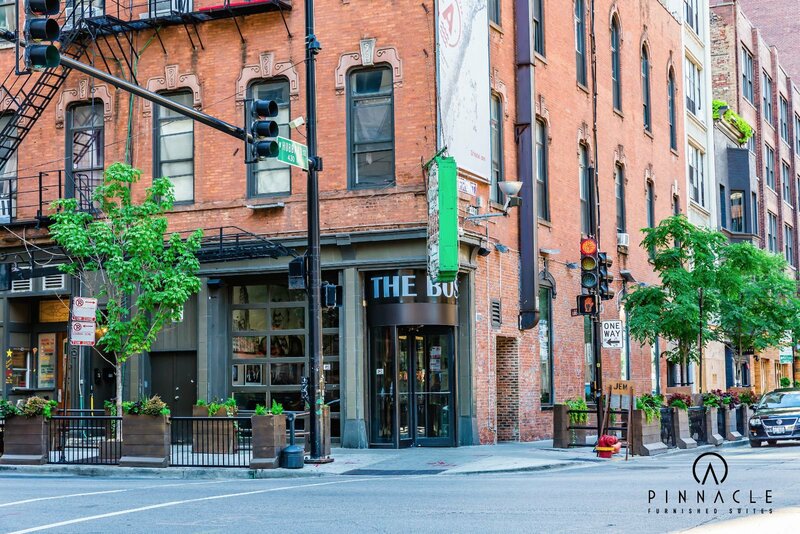 The menu includes an award-winning wine list and a dozen different hand-picked cuts of beef. 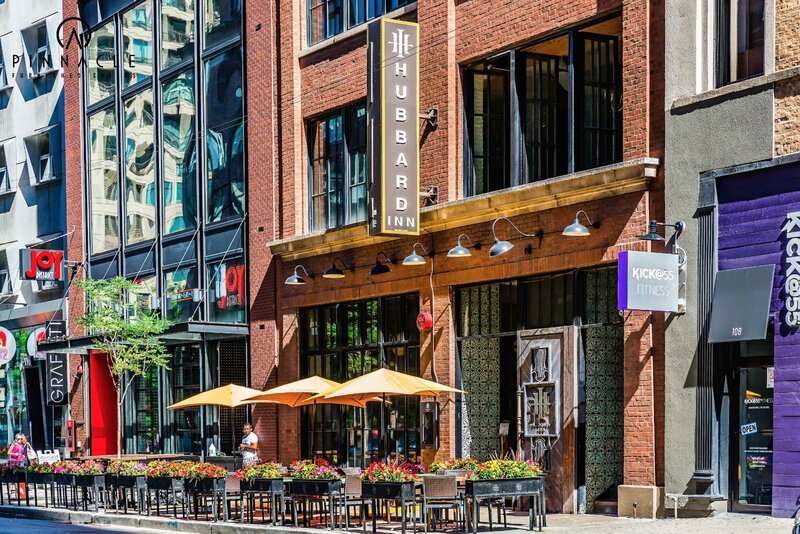 -Sunda (110 W Illinois St) - Sunda is an Asian fusion restaurant with a menu offering some interesting eats (duck breast kimchi, oxtail pot stickers) and includes sushi, sashimi, and plenty of wok dishes. 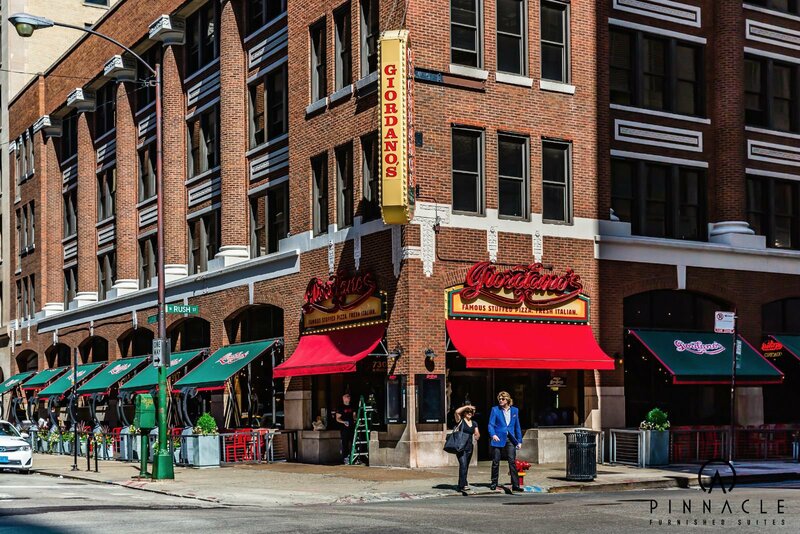 - Portillo’s (100 W Ontario St) - Portillo is well-known local hot dog chain serving up authentic char-dog-style frankfurters. 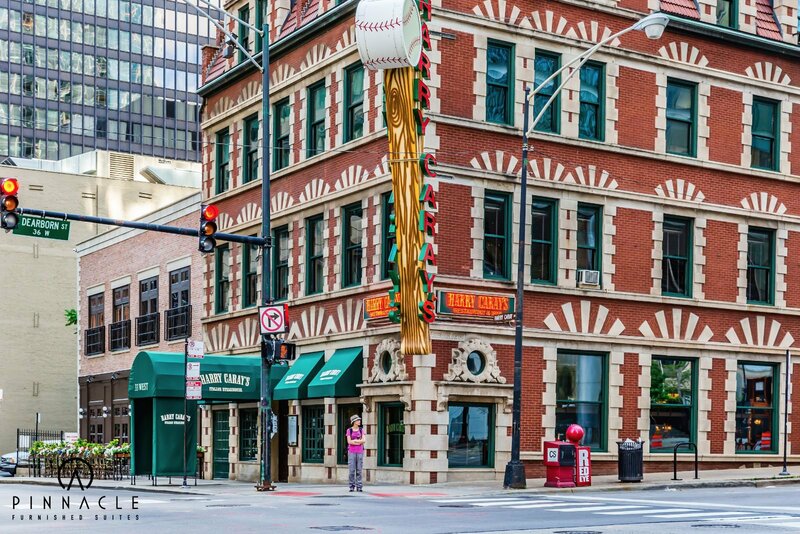 - Lou Malnati’s Pizzeria (439 N Wells St) - Lou epitomizes Chicago-style pizza and has remained a crowd favorite since the deep dish pizza inception a few decades ago. 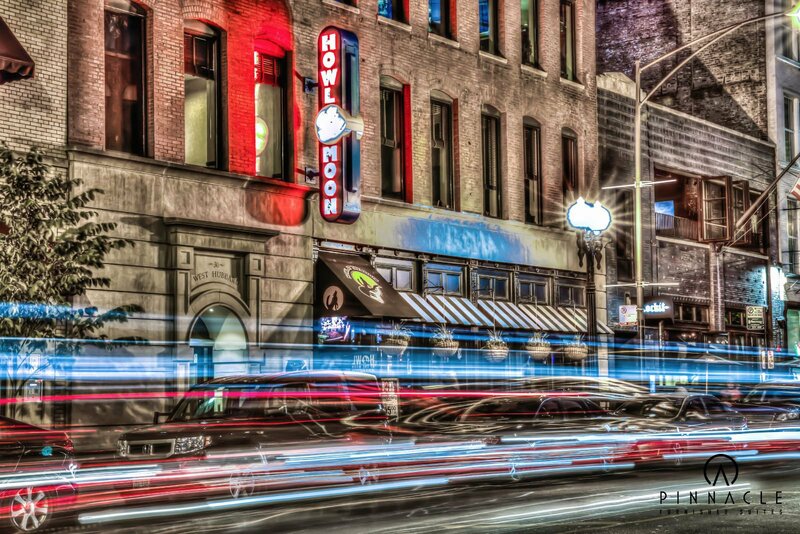 - Hard Rock Cafe (63 W Ontario St, Chicago, IL 60654) Rock ’n’ roll-themed chain with a high-energy vibe serving burgers & American classics. 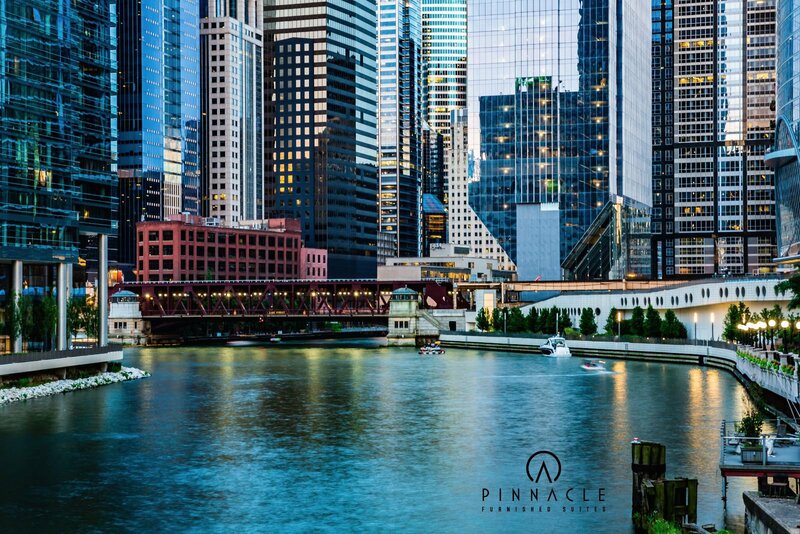 Here is a list of businesses and amenities that may be useful during your stay at Pinnacle Furnished Suites River North locations.